Miller Lifting Products - Division of GHM Industries, Inc. Need help? We are standing by to assist you! Miller's INSU-LINE™ Tag Line Insulator provides certainty that load control tag lines are non conductive. OSHA regulations for crane operations taking place in the vicinity of energized power transmission and distribution lines require tag lines to be "non conductive". Though polypropylene rope in new, never-used, condition is likely to be non conductive, there is no assurance that after some use in the field, humidity or contamination has not degraded its electrical resistance. The INSU-LINE™ Tag Line Insulator is a safety device designed for use by personnel and with tag lines only. 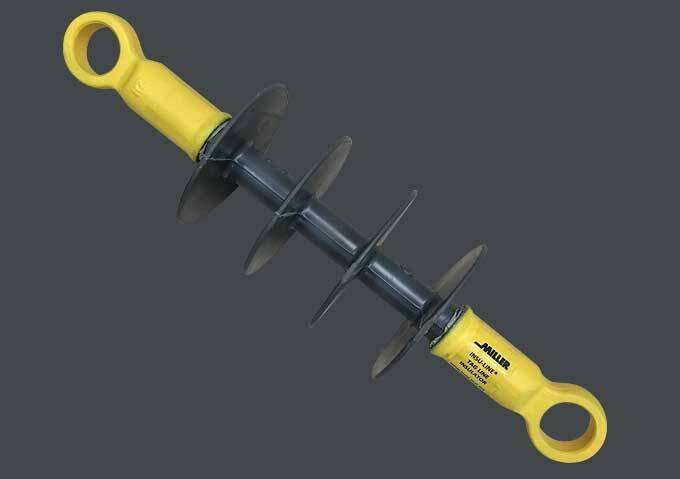 It is not to be used as an insulating link for lifting of loads. Please refer to our ISO/Link-AC load insulating products for use in lifting applications. We provide quality service that our customers demand and have come to expect. Miller Lifting Products offers high quality lifting and rigging components for the energy, construction, communications, manufacturing, maritime, military and other industrial sectors.